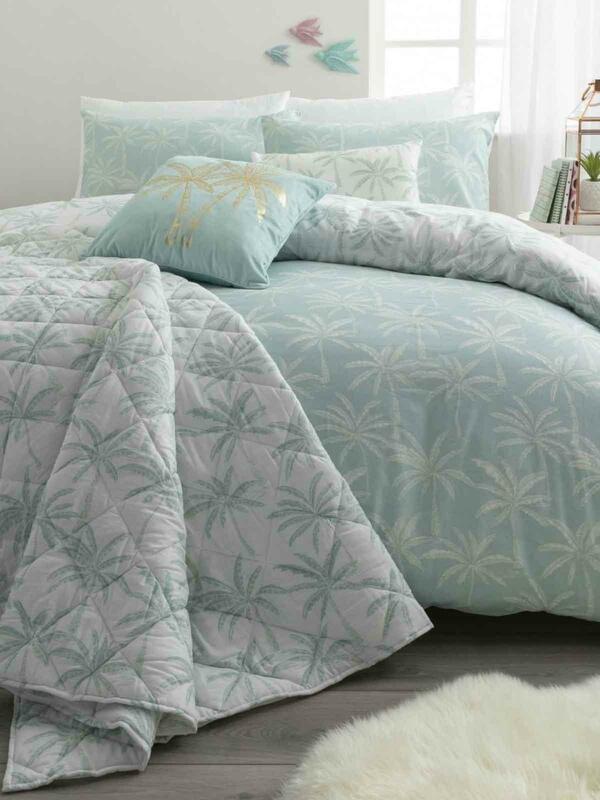 Live your best island life with the Tropical Palm Bedding Collection. Featuring a striking palm print on a fresh aqua base, the set is fully reversible for two alternate looks. Coconutes not included!